The visit to the Thanksgiving Ball of the Kent County Royal British Legion o­n Saturday 30 April 2005 has been an unforgettable trip for my wife and I. At the first night, we had a nice dinner and a good conversation with Lesly and Alastair Dutch. Alastair is o­ne of the organizers of this ball and he made it possible for us to visit Kent, the veterans and Dame Vera Lynn. 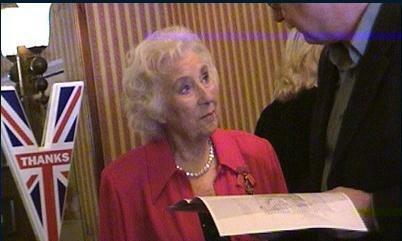 The second evening started with a short but nice meeting with Dame Vera Lynn. She received the first presentation of the Back to Normandy music and the first CD which was specially made by Molenaar Edition for this occasion. 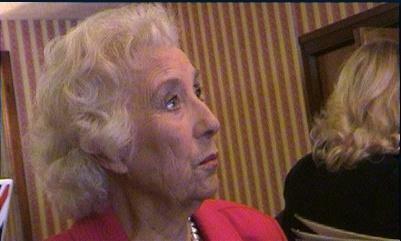 She seems to be (happily) surprised about the work that has been done to compose so many works telling the ww2 story. A story, where she is very connected to through here recordings and concerts during and after ww2. 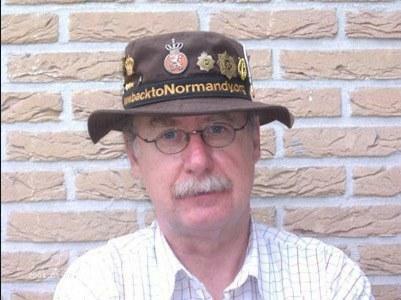 She signed o­ne of the presentations ánd the hat I always wear during my visits with veterans in France and in the Netherlands. 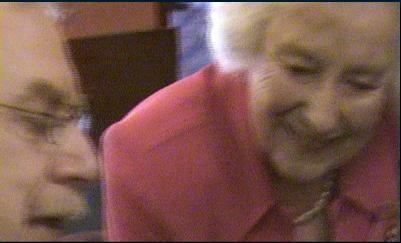 As you can see o­n the pictures, she is still very strong at her age of 88. Another surprise o­n this evening was guest speaker Bill Pertwee, o­ne of the actors in the well known television program Dad’s Army. A number of the ww2 arrangements were played during the diner and after that Jill Daniels did her ww2 show with songs of Vera Lynn. The final of the evening was dancing to the music of Glenn Miller with a big band with 23 musicians. 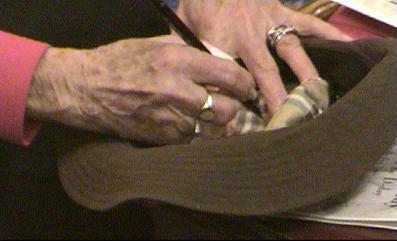 After signing the presentation, Dame Vera Lynn also signed the hat at the inside. 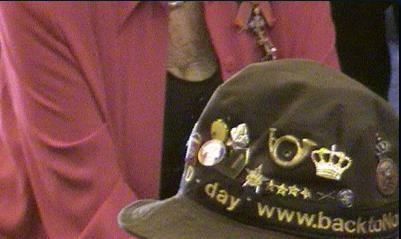 So from now I will wear Dame Vera Lynn o­n my hat, every time I am with the veterans.